Dr. Edgar Mitchell, NASA Astronaut and the 6th Man to Stand on the moon recently made the above statement during a live interview on Kerrang Radio. He went on to say that the Roswell crash – he actually called it the “Roswell Incident” took place and stated that he was not the only man to have stood on the moon who was in the know on this topic. As you can hear in the YouTube clip of the actual interview (below), the host is shocked nearly speechless at Mitchell’s revelation. Having listened to the interview as well as having followed this topic with keen interest for most of my life I have to say that this is one of the most credible, high-profile disclosures of extra-terrestrial visitation that has ever been made. Beyond his stature as an Astronaut, Dr Mitchell is a well-known scientist with a reputation that is beyond reproach. It is difficult – if not impossible – to repudiate his remarks. As responsible journalists the host of the show as well as his producer attempt to get a response from someone within NASA – this clip is also below. NASA’s response – both that of the public relations officer that fielded the call as well as the written response the show also received were suprising in the first case and predictable in the second. By itself this statement is fairly curious but in the context of his pauses, umms, ahs and weak attempts to refute the possibility that Mitchell did in fact make these statements it would seem to speak volumes in relatively few words. During the interview the host and Dr Mitchell discuss the timing of an “official disclosure” – by which one would assume they mean a duly authorized government or military official holding a press conference and stating publicly that we have been in contact with entities from outside of our solar system, that they are intelligent, possess vastly advanced technology and are clearly not hostile towards humans. What we should realize is that this is EXACTLY what happened in the interview. Our government – either willingly, or perhaps as a result of the inexorable pressure being exerted by other countries’ disclosures – is trickling this information to us in ever greater depth and from persons of ever increasing credibility. While there are probably still people at the highest levels inculcated with the fear the Brookings Report engendered, it would seem that others have realized that the truth of this matter will ultimately be revealed whether they like it or not. Given this fact, the only way they can retain any credibility is to leak this information a little at a time ahead of finally acknowledging the facts while at the same time blaming previous administrations for their cover-up and the decades of lies and denials. Dr Mitchell is unquestionably patriotic and I find it difficult to believe that he would make these statements so casually. Personally I suspect that his remarks on Kerrang Radio are simply a next phase in the disclosure process that is taking place even as I write this. Similarly, NASA’s statements of denial are also part of the process – they are intended to give those people who NASA believes may find this information difficult to accept a refuge in the form of contradictory statements from an “official source”. If I am correct in my assessment you can expect more of this type of disclosure/ refuted disclosure over the next couple of months with the source doing the disclosing becoming ever more public, and ever more “official” while the part doing the refuting will likewise diminish in credibility and stature during the same period. I know some people won’t believe any of this until there’s a press conference complete with UFOs on the Whitehouse lawn but for the rest of us this is a very exciting time. Hopefully there’s much more to come! 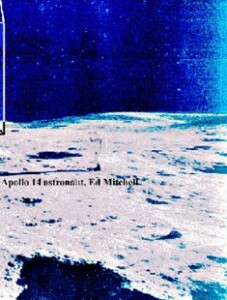 This entry was posted in Mars, Personal, Political, Ufology, Video and tagged Add new tag, alien, Apollo, Astronaut, Cover-up, Denial, Disclosure, Dr Edgar Mitchell, Kerrang Radio, Moon Mission, NASA, owstarr.com, starrtrek, UFO. Bookmark the permalink. If a UFO was on the whitehouse lawn it probably wouldn’t be unidentified anymore. It also wouldn’t be flying so I guess it would be something like an OLI, object that landed and was identified. From what I understand Ed Mitchell has been saying stuff like this for years so it’s nothing new. I imagine the years of disclosure / refuted disclosure are just part of the really long disclosure process. Maybe all the governments in the world have agreed to honor the prime directive and not admit that we’ve been visited until Zefram Cochrane builds the first warp drive. I suppose most are waiting for the New York Times or Katie Couric to tell them that this is so. Get over it! They are here, they have been here for thousands of years and they are deeply involved in human affairs (No Prime-directive where ufos are concerned). Unfortunately, when the press does start taking this seriously, they will undoubtedly get the story wrong and report that our wiser space brothers are here to save us from ourselves, as if there is no sinister side to this story, i.e. abductions, cattle mutilations and more. I am glad Dr. Mitchell has the courage to start to speak on this. However he has insisted that other astronauts have no direct knowledge of this topic. Well Neil Armstrong’s cryptic comments made in the Clinton Whitehouse suggest otherwise. Where is the press asking the hard questions? Dr. Edgar Mitchell is know for his high level of integrity and character. The man has accomplished a great deal in his life-time and there are just a handfull of human beings who can truly claim that they have walked on the moon. It appears that Dr. Mitchell knows for certain that aliens are real and that they are here. This type of information may not sit well with your old aunt Beth, but it is time for the government to come clean. The fact is that the government knows from polls and stat’s taken from the UFO reporting agencies that millions of honest Americans believe that they have seen something. Knowledge replaces fear, its time that they tell the truth. In response to Steven’s last sentence, “Knowledge replaces fear, its time that they tell the truth” (and in all due respect to Steven), I would paraphrase Jack Nicholson from “A few good Men”: They can’t handle the truth! The truth of this situation is very unsettling to say the least. Don’t be fooled by all the conspiracy theorists. This is a “self-covering-up” conspiracy. People do not want to know the truth and really could not handle it. They would rather their news be wall-to-wall Anna Nichole Smith and Paris Hilton. People do not want to know that the aliens have been here for thousands of years and have essentially genetically engineered the human race. Yes, I exaggerate, but planet Earth is little more than a death camp to them. They can not both be deeply involved as our dna and then claim the “prime directive” that they cannot be involved in making this Earth more peaceful. Many are beginning to suspect that they are perhaps in their secrecy at the root of many of our problems. At the risk of sounding naive, I really believe that many in the government want the truth to be known. The secrecy is ENFORCED by the aliens. Dr. Mitchell also got involved in the study of the paranormal and ESP in the 70’s when it was in vogue. I have to say, that just because we see him as an accomplished pilot, astronaut, etc. He only has a Bachelors of Science, he is not a PhD. His area of interest, he quoted, was not involved in UFO research. He never mentioned at all nor implicated that NASA was covering anything up. He said government files, period. Did he have access to those? Maybe. I don’t share this mans opinion. We are a tiny speck in the grand scheme of things, the nearest star is too far away from several human life times. No one is visiting us. Hilarious. Do you realise that nobody is disputing that? It’s other beings that are coming here not humans. Good luck with your closed mind. If even one EBE/ET was on this planet in the last 100 years, its’ own bacterium would wipe us out in less than a year.